What have we been up to this weekend? CSC and I have been testing a couple of recipes for Jaden's upcoming cookbook! It's all quite exciting. 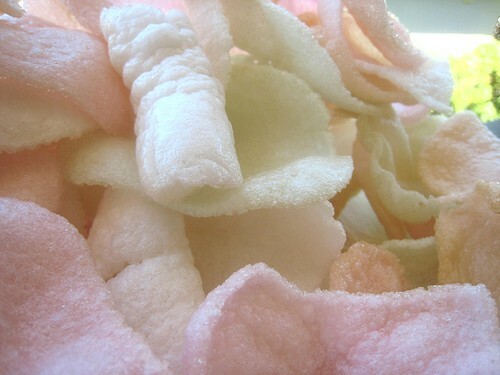 One dish called for shrimp chips aka prawn crackers. These just happened to come in pastel colors. Pretty! I tried and tried and tried to get shots of the crackers puffing up, but alas, that was not to be. That above was the best I could do. 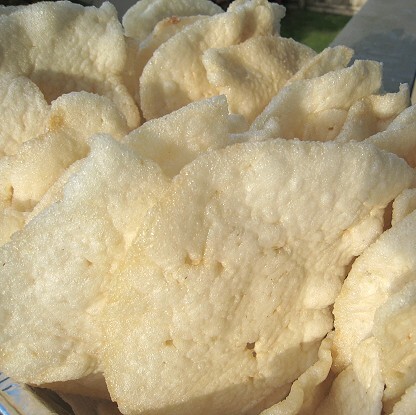 We've also had a thicker kind of prawn cracker. These were brought over by the gong sisters for Mama's Birthday Party. 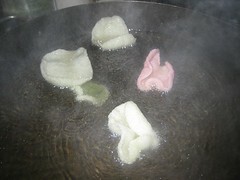 The gong sisters also have this trick of holding the prawn cracker flat while frying. Hence, the non-curled up nature of these ones. These thicker ones are especially good with a chile-garlic-vinegar dipping sauce! 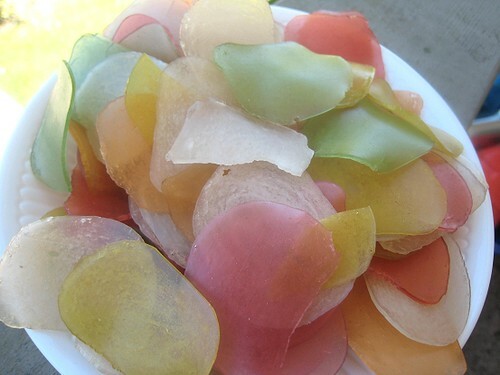 This is the very first thing I ever learned to cook. Just needed some spicy vinegar and it's good to go. 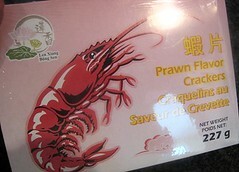 do you know of anywhere in vancouver you can buy these unfried? Asian supermarkets should have it. We got ours at T&T Supermarket in Richmond.